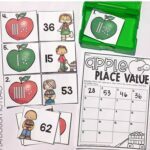 Division is one of the more difficult math concepts to understand for early learners. While it’s closely related to multiplication, it’s trickier to grasp the meaning and to work out how to solve each problem. 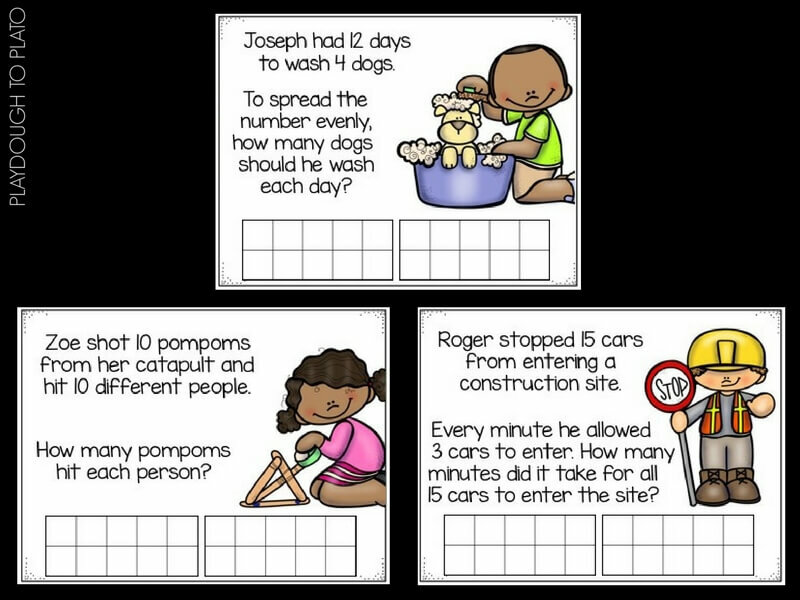 That’s why these word problems task cards stay focused within 20 – numbers that are comfortable for children in Grades 1 and 2. 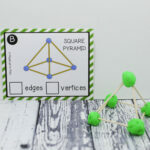 They’re great to use as a math center or division activity! It took very little effort to get ready for this activity. 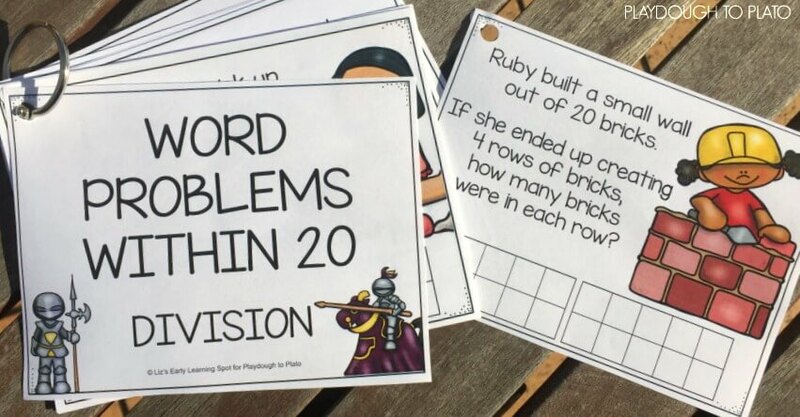 I downloaded the printable (below), wrote the answers on the back of each problem, then laminated and cut the pages into cards. There are both color and black and white versions, but I printed the color versions since they’re going to be reused over and over again. 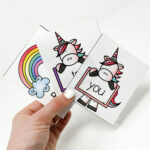 Then I punched holes in the top corner of each card to attach them to a ring for safe-keeping. 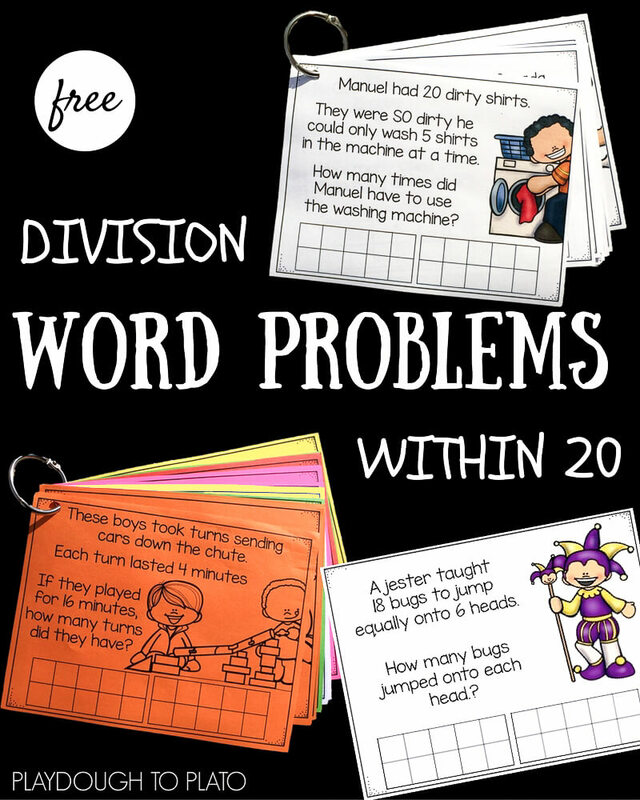 In order to understand division we went back to our Multiplication Word Problem Cards for a quick review. We re-did some of the questions and then talked about how we could turn the questions around, making the largest number (the answer) part of the question. If Diego played 4 games every hour and he played 12 games in total, how many hours was Diego on the plane? The children could see that there were 12 total marks in the ten frames, but there were also 3 groups of 4, which means he played for 3 hours. If Thomas has 18 stamps altogether and divides them equally between 6 pages, how many stamps did he put on each page? 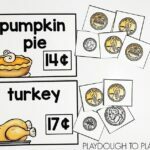 On the ten frame, the kids saw that in the original multiplication question the answer was found by adding 3 groups of 6. Now, they have been given the numbers 18 and 6, therefore the answer must be 3. When we wrapped up our quick review of multiplication, we jumped in and started tackling the division problems. 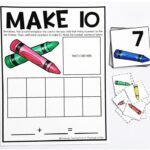 I gave the kids a number of different colored dry erase markers to use in case color coding each set proved to be a helpful visual strategy for them. They used one color to draw a dot in each square to show the biggest number in the question. If they needed to split that number into 4 equal groups, they grabbed 4 different colored markers. Then they drew a circle around each dot alternating between each of the four colors. For example, yellow, blue, red, green, yellow, blue, red, green. They kept circling the dots until all had been assigned a color. Finally, they went back and counted how many yellow circles (for example) they had altogether. That number was their answer! Let’s start dividing! 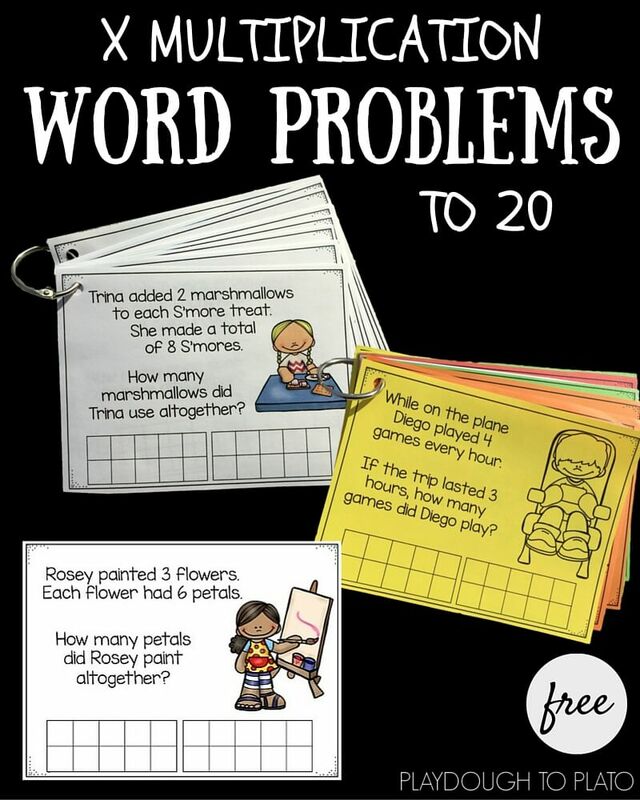 Click the blue button below to download your free story problems and then hop over and snag our multiplication word problem cards too!